Audi A3 Saloon Boot Space, Size, Seats | What Car? There’s more than enough leg and shoulder room for a couple of adults up front, and if you steer clear of the optional sunroof, even six-footers aren’t likely to complain about head room. It does feel narrower than bigger cars in the class, though, such as the 3 Series and, more notably, the VW Passat. The simple dashboard design doesn’t have a huge number of cubbyholes, but there are storage areas in front of the gearstick and under the central armrest, as well as a couple of cupholders beneath the ventilation controls. The door pockets are each big enough for a large water bottle. Two average-sized adults will be comfortable enough in the back, but tall folk won't if the front seats are slid fully rearwards. They won’t necessarily welcome a third occupant, either, because the interior is fairly narrow for three adults. 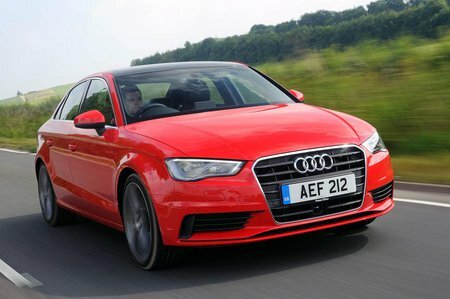 In this area, more than any other, the A3 Saloon’s smaller dimensions, compared with standard executive saloons such as the BMW 3 Series and Mercedes-Benz C-Class, become evident, and cars like the VW Passat and Skoda Superb are vast in comparison. There are few storage areas in the rear, but at least the door pockets are big enough to hold a small drinks bottle. 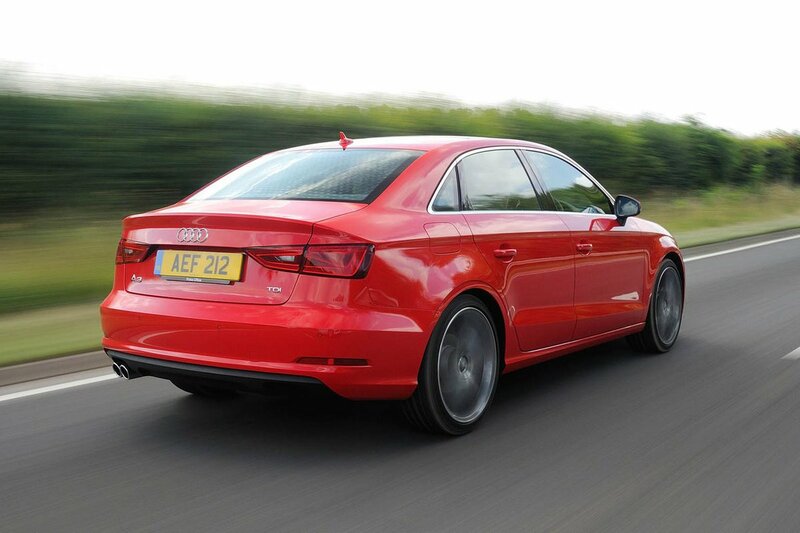 The A3 Saloon’s rear seats aren’t especially innovative, but then, few saloons offer many tricks in this area. The good news is that the 60/40-split rear seats fold down almost completely flat, opening up a useful load space for bigger items. It's worth noting that most rivals have a more flexible and useful 40/20/40 seat split. Every version comes with a height-adjustable front passenger seat, although you can’t get a folding seatback that would allow you to load particularly long items. The A3 Saloon’s boot capacity is 425 litres with the rear seats in place and 880 litres with them folded down; both figures are a little way off what you can expect in a 3 Series or C-Class and miles behind a VW Passat's enormous trunk. However, there’s still more than enough room for the weekly shop to sit alongside a compact baby buggy. It’s worth bearing in mind that four-wheel-drive A3 Saloons take a 35-litre hit on boot space to accommodate the oily bits of the quattro system. A through-load hatch is available as a cost option. This allows you to accommodate lengthy items such as skis without folding down either of the outer rear seats.